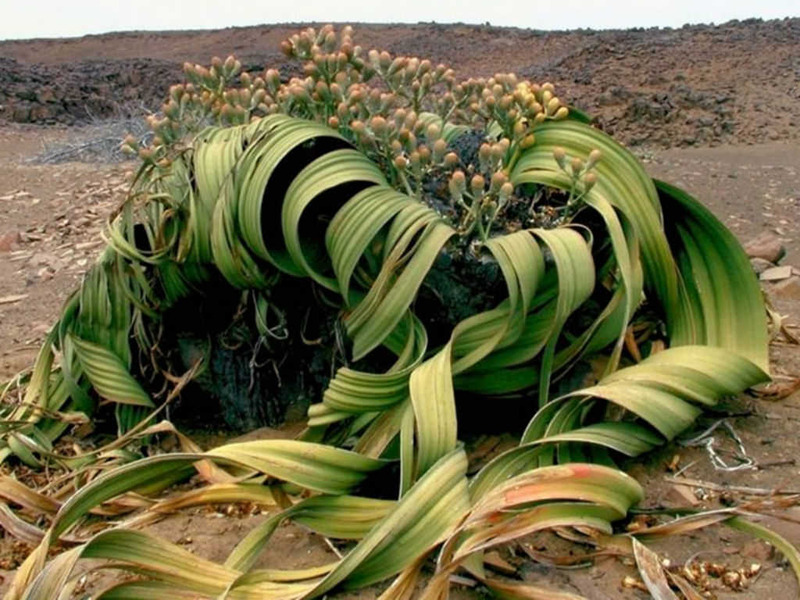 Wonderful, weird, strange, bizarre, fascinating, and unique, are the words that are used to describe Welwitschia mirabilis. It has only two opposite leaves produced from marginal grooves on the crown, each splitting into many parallel sections, twisting. The leaves continue to grow throughout the entire life of the plant. They are broad, strap-shaped and may reach a length of 13 feet (4 m) and over. 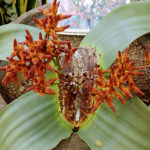 The stem is unbranched, woody and up to 20 inches (50 cm) tall. W. mirabilis is a genus with separate male and female plants. At first glance it would appear that Welwitschia would be almost impossible to grow, but this is only partly true. 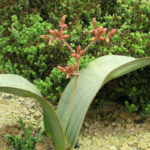 Welwitschias can be grown easily, even as pot plants and even on window sills and verandas in cooler climates. 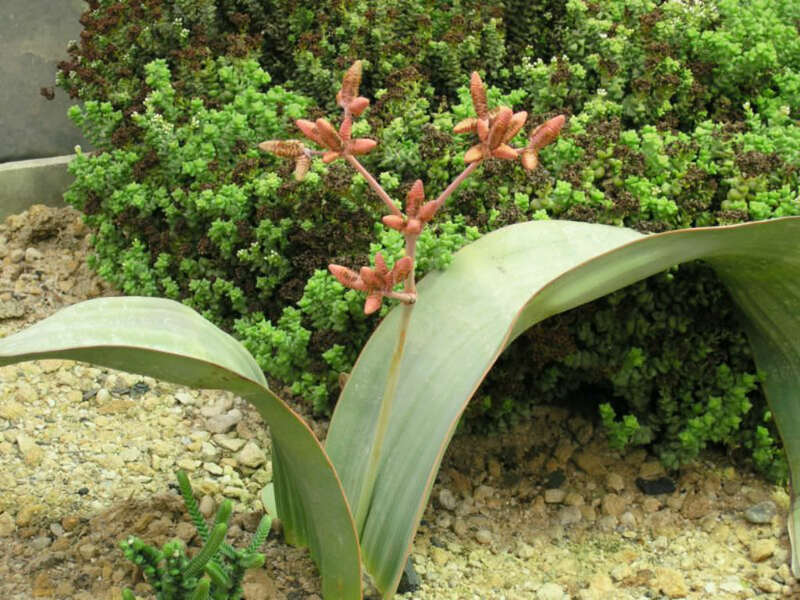 Once established, the plant will grow steadily and is relatively disease free. The most crucial stage is during its first eight months after germination when it is prone to fungal attack. 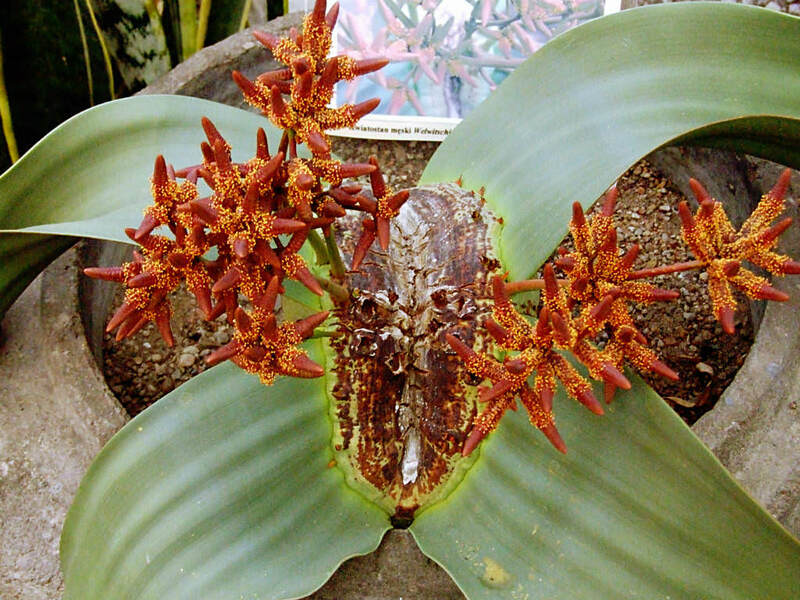 Also, as it is not a true succulent, it should not be treated as one. 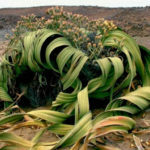 It is dependent on additional water from its roots and if grown in a pot, care should be taken that the soil does not dry out completely. 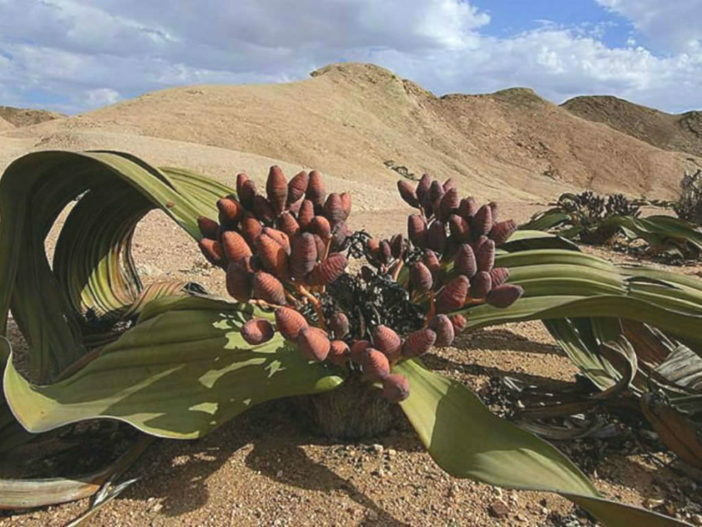 Endemic to the Namib desert within Namibia and Angola.